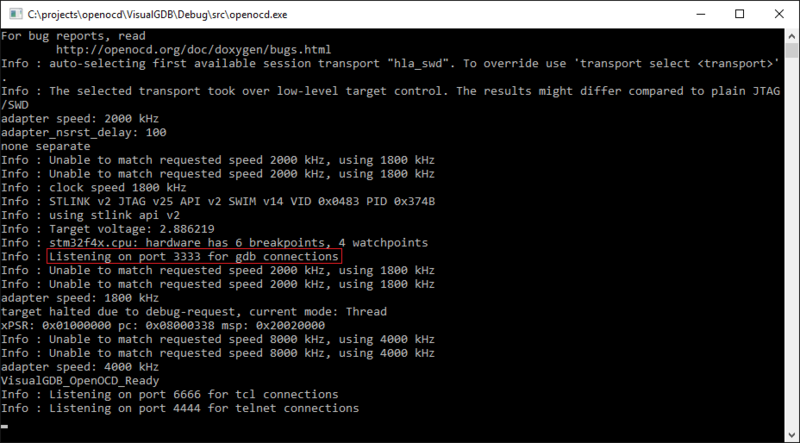 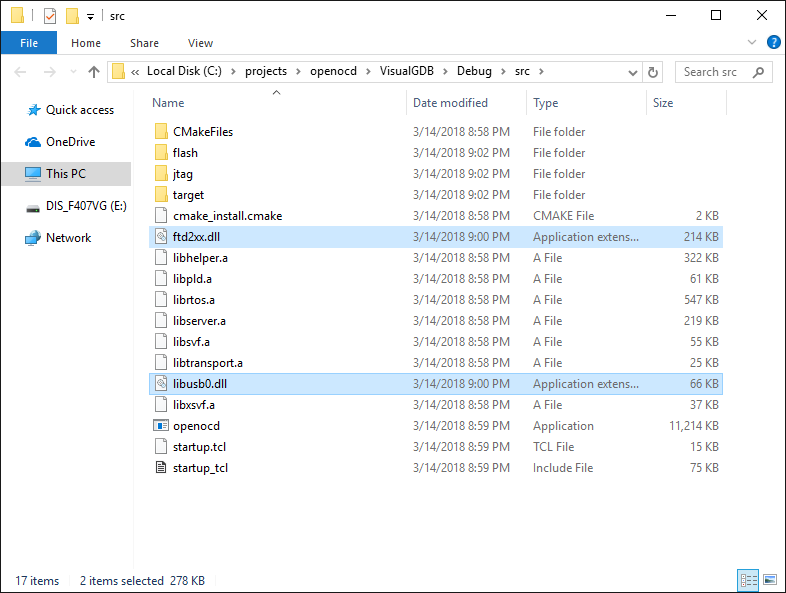 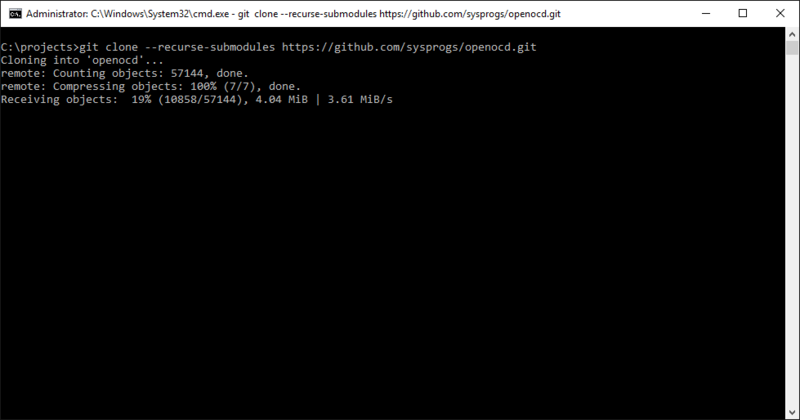 This tutorial shows how to diagnose problems internal to OpenOCD using VisualGDB and the Sysprogs OpenOCD fork that includes convenient CMake build rules. 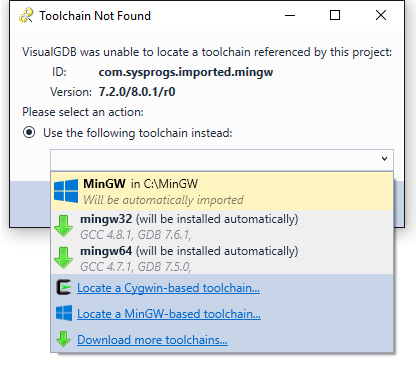 Before you begin, install VisualGDB 5.4 or later. 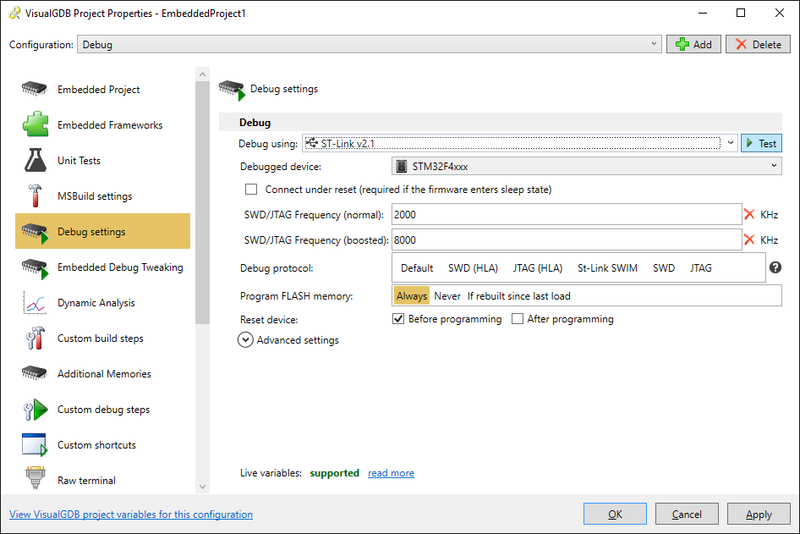 We will show how to build OpenOCD from our Github repo, configure it to run with meaningful arguments and analyze its internal logic responsible for erasing FLASH memory. 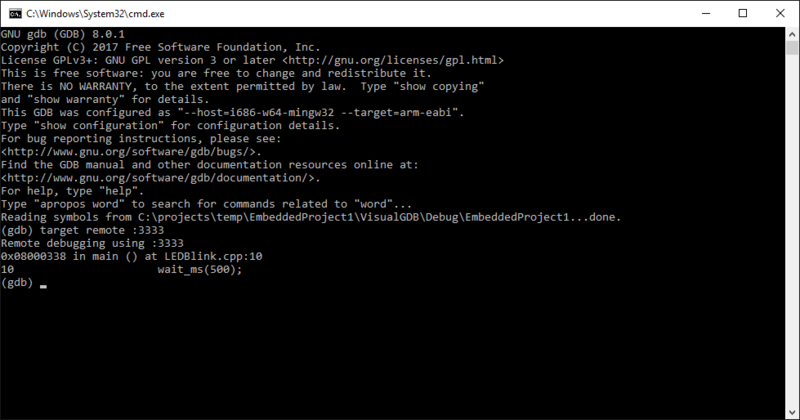 -c "gdb_port 2594" -c "telnet_port 2595" -f interface/stlink-v2-1.cfg -f target/stm32f4x.cfg -c init -c "reset init" -c "echo VisualGDB_OpenOCD_Ready"
You can now step through the code to double-check the OpenOCD logic responsible for various parts of the erase process and fine-tune parts of it. 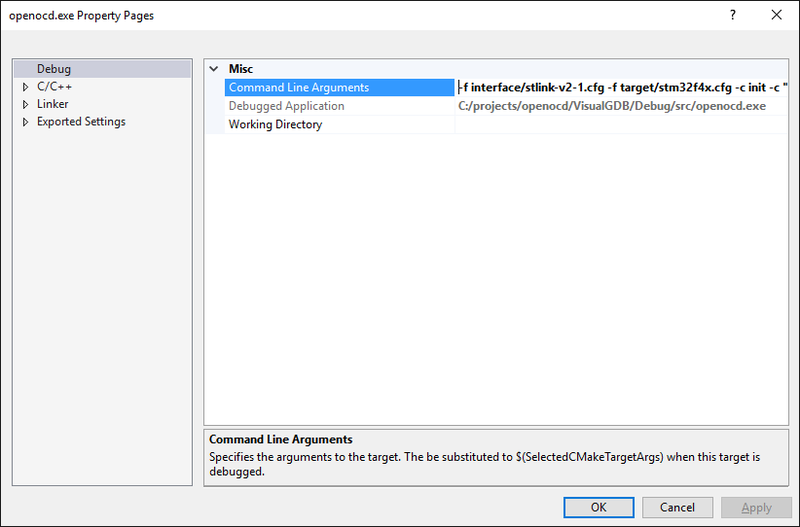 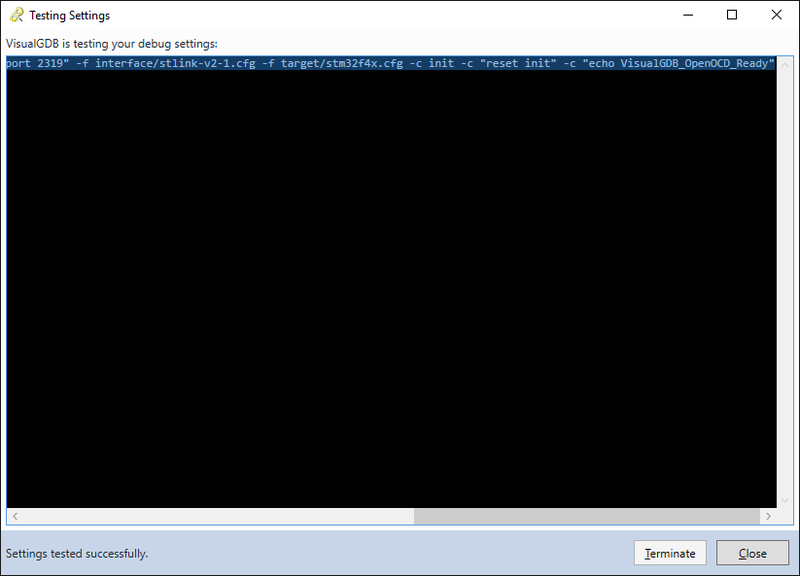 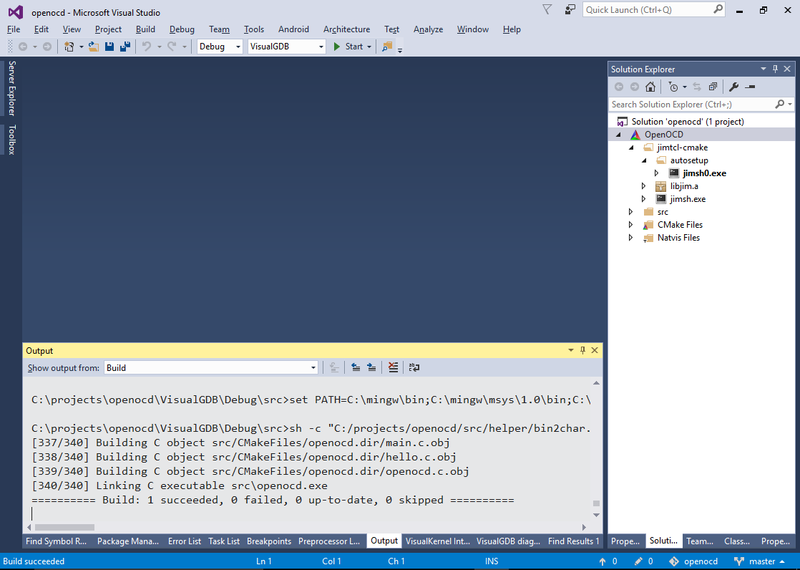 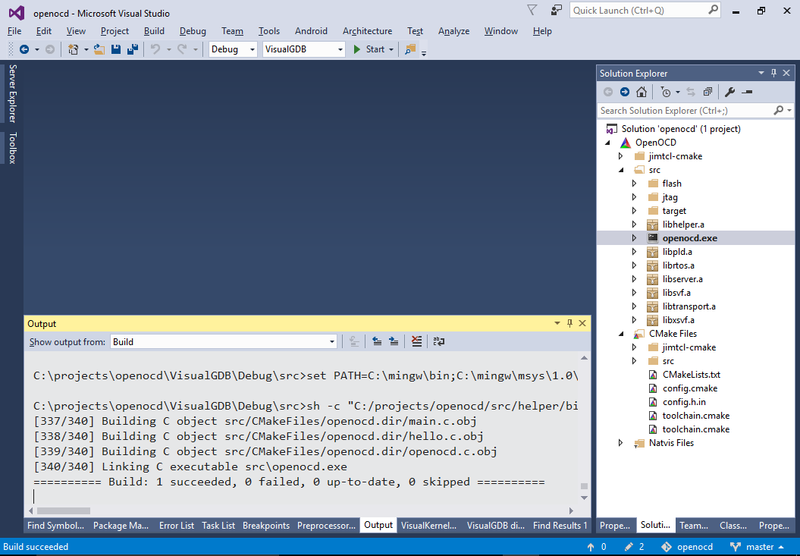 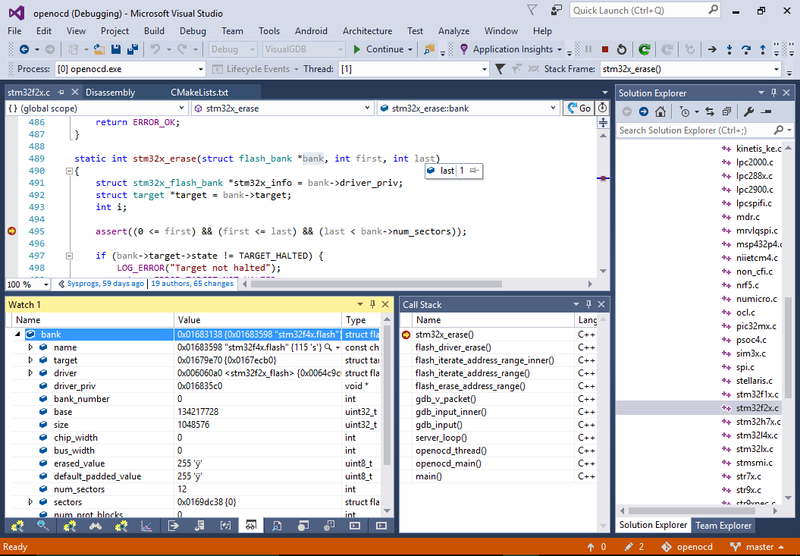 If you want to use a modified version of OpenOCD instead of the one shipped with VisualGDB, simply replace the %LOCALAPPDATA%\VisualGDB\EmbeddedDebugPackages\com.sysprogs.arm.openocd\bin\openocd.exe executable with the one you built and VisualGDB will use it instead.